I'm in love with Covered Perfectly's Cascading Vest...so much so that I now own two of them! 1. This vest is perfect for traveling It's so lightweight (takes up almost no space in the suitcase) and it's wrinkle-free. Travel perfection! 2. It gives coverage in all the right places--especially around the tummy where I need it! 3. It changes up the simplest of outfits. 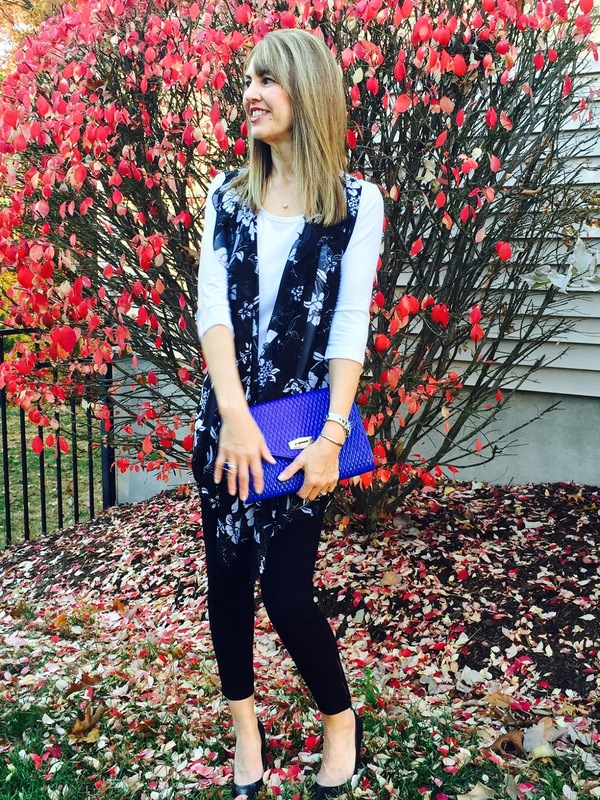 I wear this vest with just about everything from a dress to leggings. It's the perfect accessory. 4. It's flowy and feminine and it comes in so many beautiful prints as well as solid black. 5. Tie it around the waist, belt it or wear it loose....it's so versatile! Simple Comfort micromodal tee-- one of the softest and most comfortable tees you'll ever own. I love the 3/4 length sleeves and the slightly loose fit. 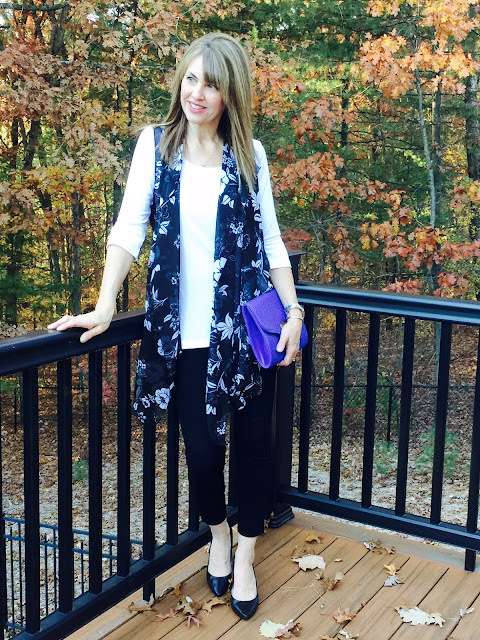 So if your'e looking for a fun piece to jazz up your wardrobe, check out this vest....oh and did I mention that you can even wear it around your neck as a scarf? “Buy 2 Get 1 FREE Special"
You look great in the Covered Perfectly Cascading Vest Susan! Isn't it smart to have pieces you can wear in so many ways?